Antoine D'Coolette is the cowardly coyote from the second Sonic the Hedgehog TV series and the American comic book series of the same name. He speaks with a French accent, and lives in Knothole Village. His only relative is his roboticized father, General D' Coolette. He used to be attracted to Sally Acorn, but now is married to Bunnie Rabbot. He's not a very important (or useful) character, but he always hangs around anyway. In the older comics and in SatAM, he seems to function as nothing more than comic relief. 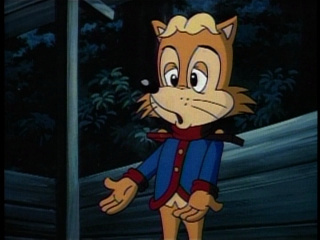 In a SatAM episode, Antoine's last name was given as "DePardeaux"; however, this was only mentioned once (and likely made up on the spot by the writer working on the script), whereas the Archie comic has used "D'Coolette" repeatedly and consistently. He is voiced by Rob Paulsen. In the Japanese dub, he is voiced by Masashi Ebara. This page was last edited on 3 November 2018, at 07:48.